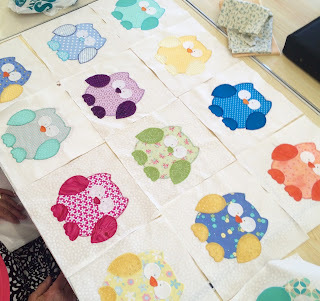 Yesterday it was Quilting at the Bee and I thought you might like to see a little round up of what some of the girls were doing. 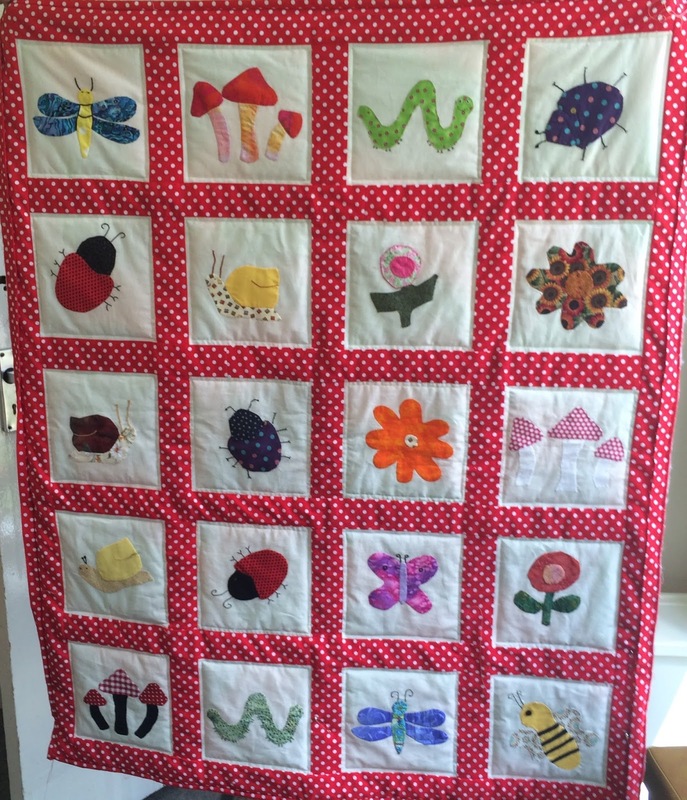 Ann was doing lots of different things, one of which was sandwiching her Quilt top. 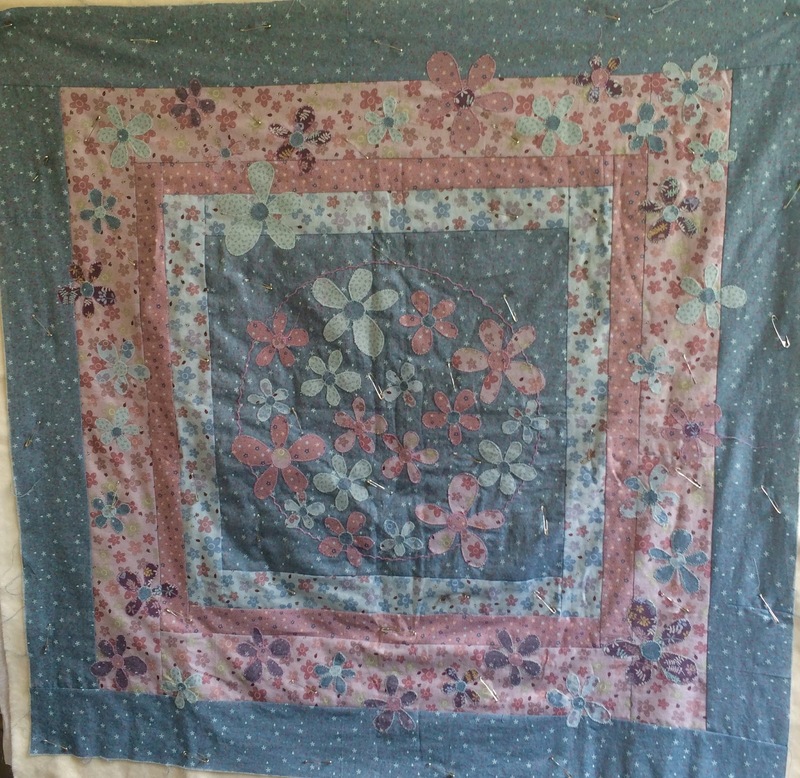 This one was designed by Lynne Edwards and was in Popular Patchwork some time back. This quilt is also on my to do list, though I am not sure when I will get around to doing it. 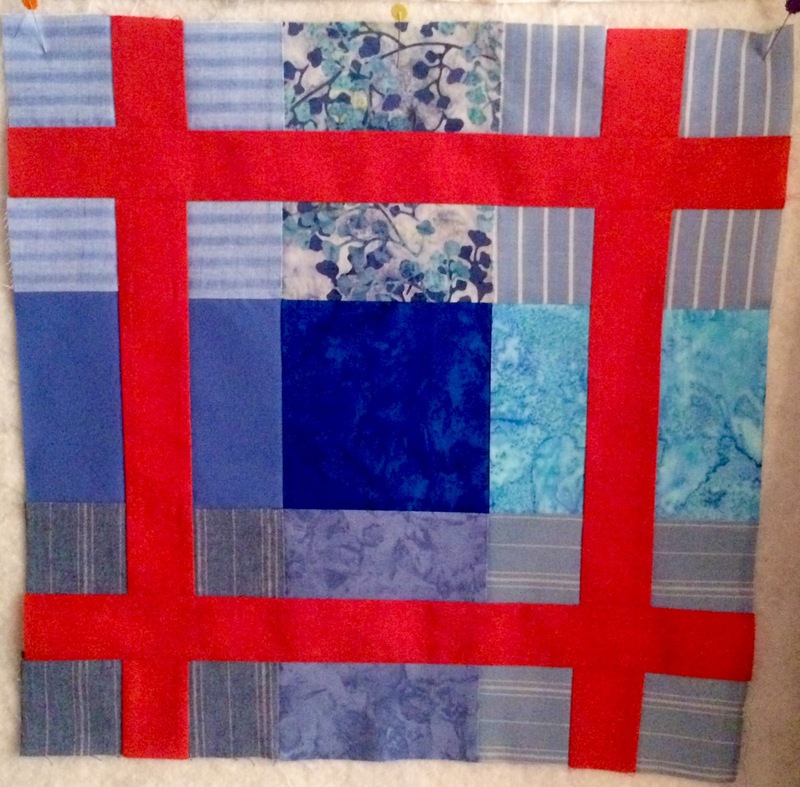 Maggie was also making this quilt, though slightly smaller, and in a different colour way. She is hand quilting hers. 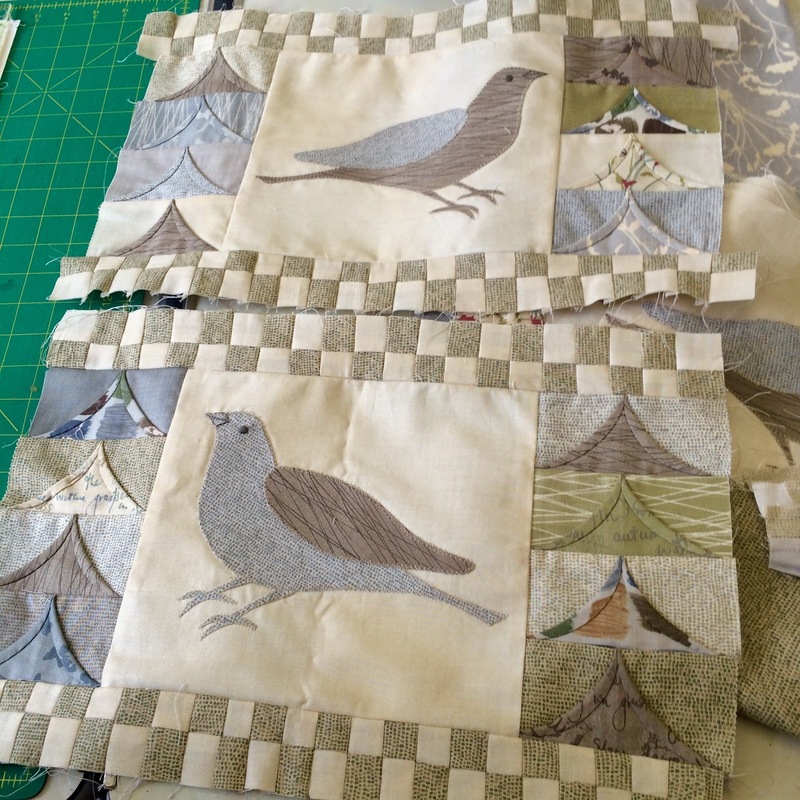 Jenny was putting borders on her place mats. I do like this fabric range, it is called Field fare,and I have some in the my current project. 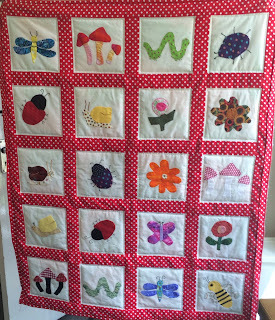 This was another of Maggie's quilts. 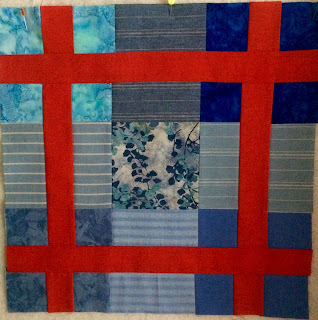 She had just finished the binding and it's to be a charity Quilt. Allison was putting the finishing touches to her two owls for the Bee's Charity Quilt. 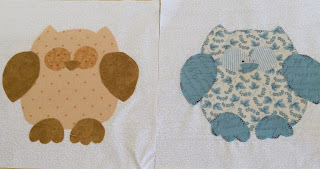 Ann was also sorting owls out. 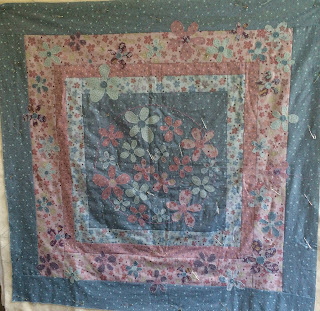 This is to be a Quilt for her great grandson due soon. All in all every one was quite busy, those not stitching were Knitting. It seemed to be all critters and flowers. Me,well nothing to show as yet. 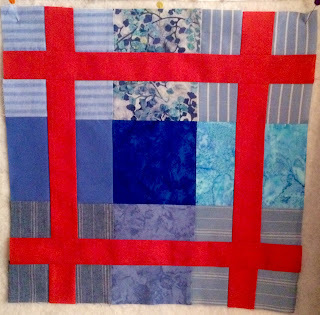 I have just started doing the stitchery on my mystery block 3. 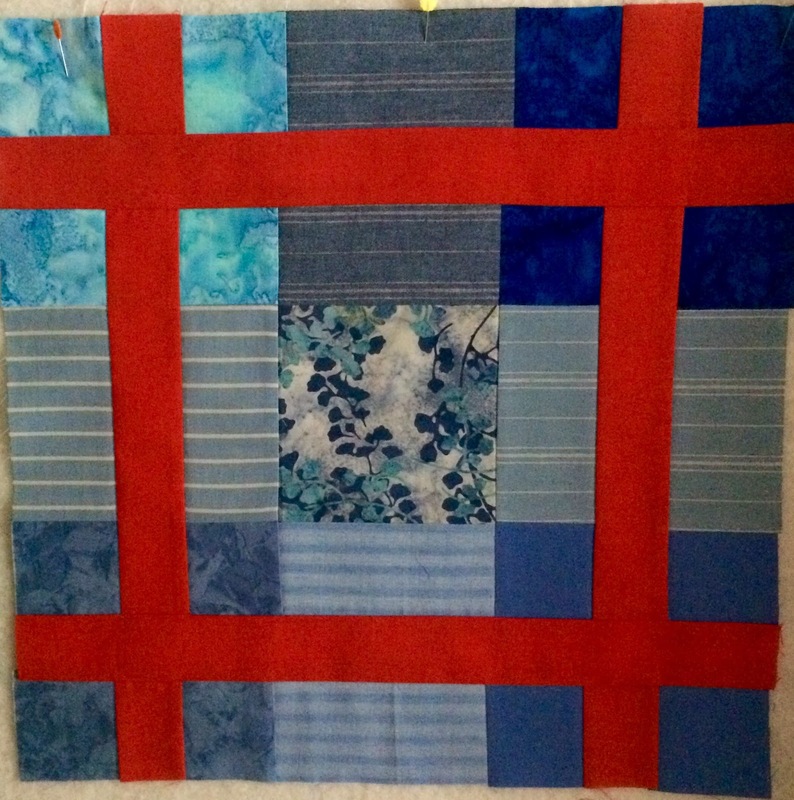 Though I have finished my my two blocks for Helen (Magpie Cat) who is the Mama of the month in the Siblings together 2 group. 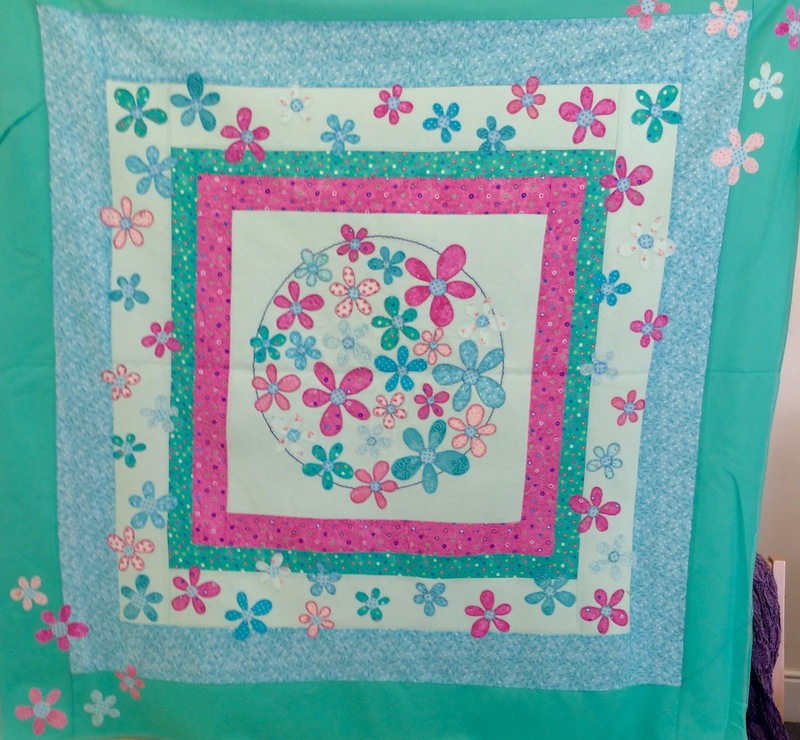 The block comes out at 15 1/2 inches and is very quick and easy to make, it looks complicated but is very simple to do. Off now to sort out tea.